Chiara of Calico And Cupcakes threw her son a carnival themed birthday party this Spring, and I was blown away by the creative cupcakes she made. 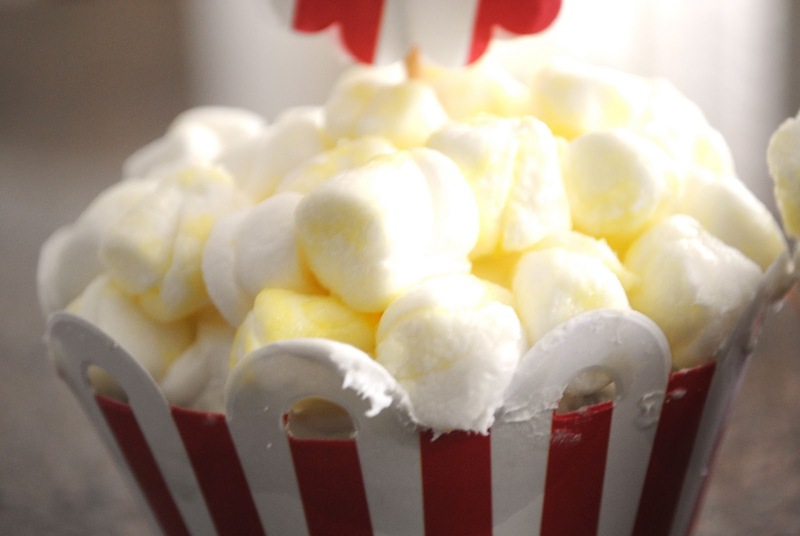 Don’t they look just like popcorn? Just marshmallows sprinkled with a mixture of yellow food coloring and water to make it look buttered. So clever! Steal away! 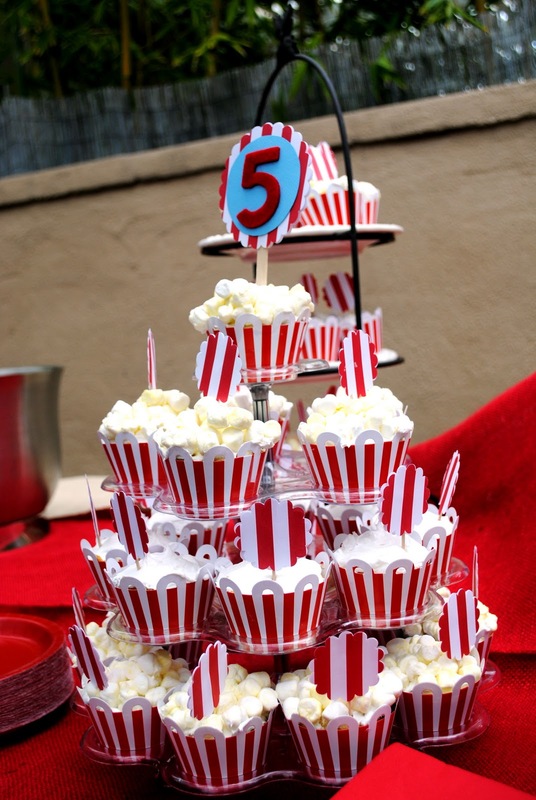 This entry was posted in idea thief and tagged carnival theme, circus theme, creative cupcakes, marshmallow cupcakes, popcorn cupcakes by Annika. Bookmark the permalink. Ha, Ha! I came to comment on the fishy lunch post and saw this! Thanks for the shout out! The cupcake “sleeves” are just from Oriental Trading Company if anyone asks . . . Love your blog–recommended it as a “must go visit for party ideas” on my blog’s Facebook page a couple weeks ago!